Kyler Murray jolted the sports world on Monday when he tweeted that he is "fully committing" to fulfilling his dream of playing in the NFL rather than pursuing a baseball career. Though he was previously drafted ninth overall by the Oakland Athletics, the 2018 Heisman Trophy winner appears set to spurn the diamond for the gridiron. Given his ability to play both sports, some have suggested, including NFL insider Ian Rapoport, that Murray has increased leverage over any team that aims to select him, as he can simply threaten to play baseball instead. 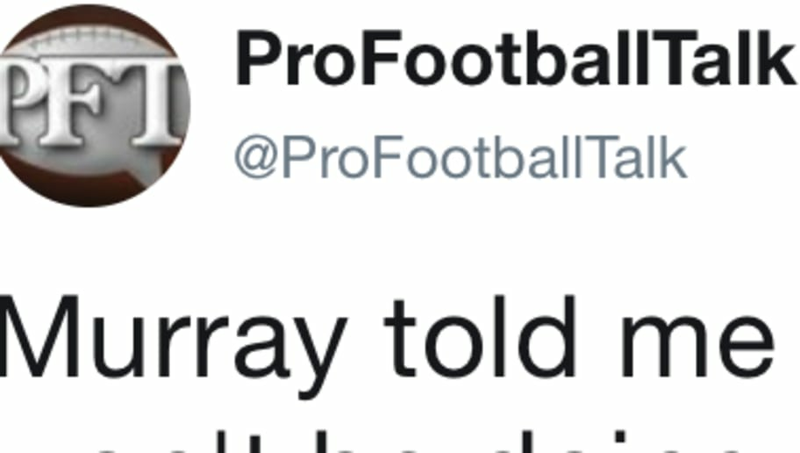 Pro Football Talk's official Twitter account decided to roast Rapoport over this take, noting that Murray literally promised not to do that barely a week ago. Rapoport was not willing to go down easy. He quickly fired back by pointing out that Murray also had originally promised the A's that he was fully committed to baseball before changing his mind. While Rapoport is right that Murray once had every intention to play baseball, that was before he exceeded all expectations and won the Heisman in his first and only year as a starter at Oklahoma. He wasn't expected to be a major NFL prospect, but now that he is, he has every right to choose what's best for him. Murray has returned nearly all of the signing bonus that he received from the A's. While the Athletics remain hopeful that Murray will one day return to baseball, he's made his intentions for 2019 more than clear. Surely RapSheet is capable of grasping that.